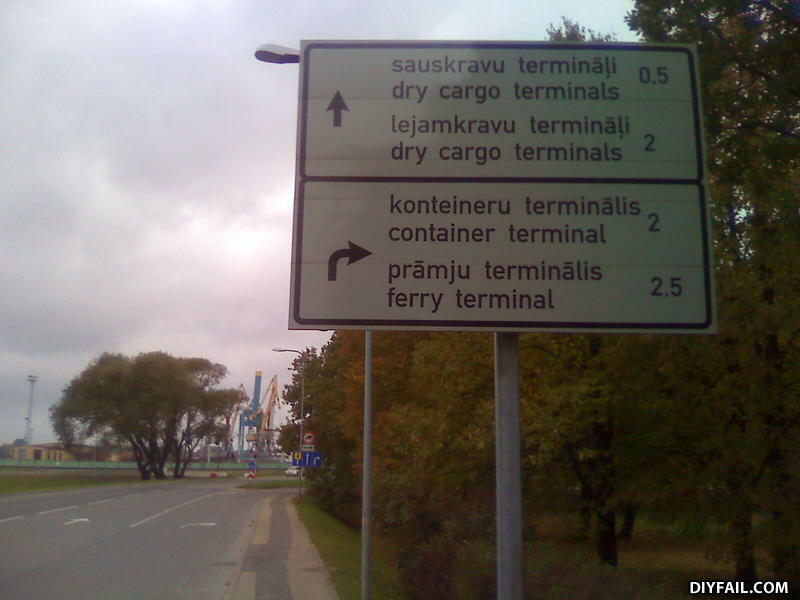 uhhh it goes LINE 1: "suaskravu terminali" 0.5 LINE 2: "dry cargo terminals" 0.5 LINE 3: "lejamkravu terminali" 2 LINE 4: "DRY CARGO TERMINALS" 2 HOW CAN THEY BOTH MEAL DRY CARGO TERMINALS IN ENGLISH AND BE AT DIFFERENT PLACES?!??!?! To the sadly uninformed person who wrote "Speak American"... American is not a language. America is comprised of three continents, South, Central and North in which there are many countries and many languages. Please consider an education. The world will thank you for it.